Abraham-Louis Breguet invented many of the standard components of today's most prestigious watches, earning the title "The Father of Modern Horology." The self-winding watch, the gong spring, the first shock-protection device and the enameled dial-all were created by Breguet. In addition, he invented the first travel clock, sold to Napoleon Bonaparte in 1798 and the first wristwatch, delivered to Caroline Murat, queen of Naples in 1812. Perhaps Breguet's most famous timepiece is the "Marie-Antoinette" pocket watch, which took forty years to make and was the most complex watch of its time. 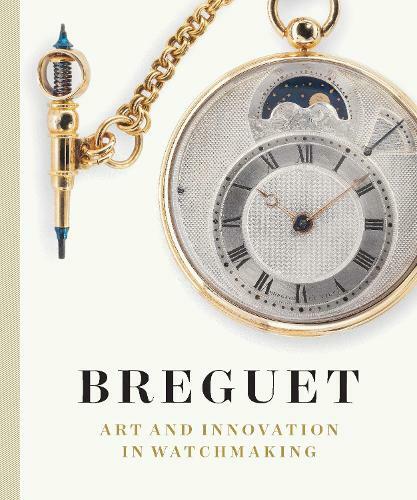 This fascinating, elegantly designed volume features more than seventy watches and clocks that were constructed by the Breguet company, and it contains many insights into the inner workings that made these objects so innovative and valuable. Engaging essays explore Breguet's personal history, the technologies he perfected and his vast international reputation-which survives to this day. This beautiful overview of Breguet's achievements will speak to anyone who treasures their watch-whether as an indispensable daily accessory, or as a prized piece of jewellery.Published in association with the Fine Arts Museums of San Francisco.